GET YOUR CLAMPS HERE ! 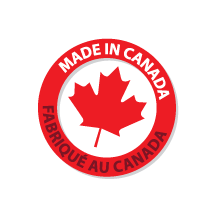 A Panel Clamp invented, designed and manufactured in Canada. It helps the professionnal and amateur woodworkers for all their glue-ups. 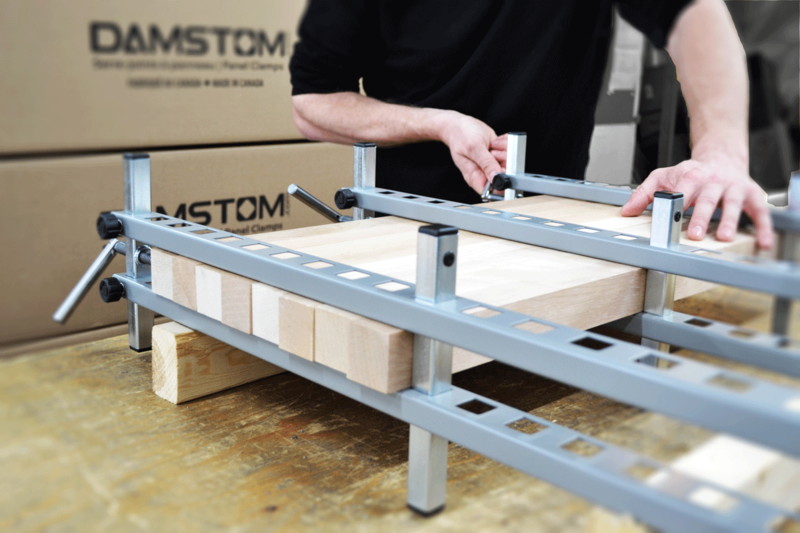 By working with theses Damstom Clamps, it reduces the amount of tools for the conventional process. 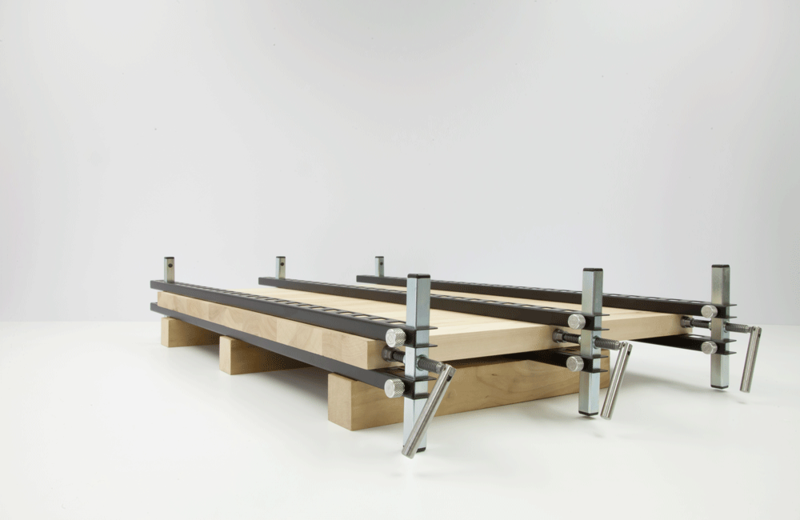 With square holes all over the rails, it gives the opportunity to set-up your panel lenght up to 38 of an inch. We add grip knobs to fix the height of the rail along the side bar. You can play between 3/4 to 4 1/2 inches. A coating of powder paint is put on the rails, so that the glue is very easy to remove. It peels off even after a couple hours. A This statistic is way over your needs when we talk about glue-ups. But it means that it is competing with all the other clamps. A Panel Clamp invented, designed and manufactured in Canada. We make clamps for all woodworkers. Copyright © 2018 Damstom inc - Tous droits réservés | All rights reserved.